Inspired by our Yoga ambassador Dashama, the 10'0"x35" is the ultimate yoga board. 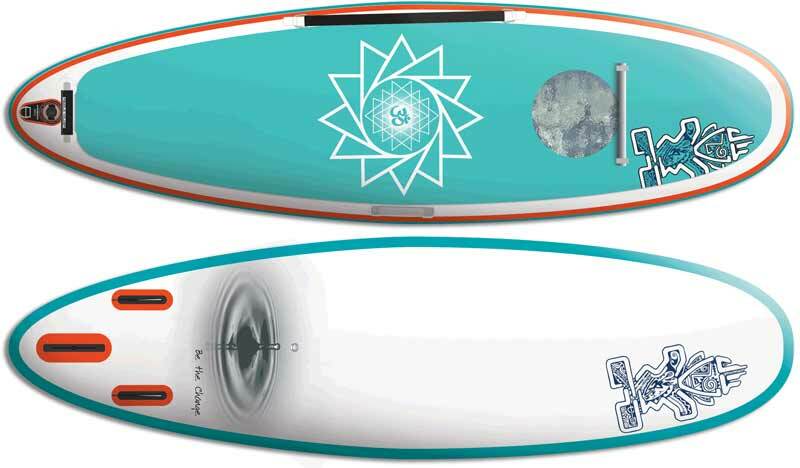 The length provides enough space to perform all yoga poses comfortably, while still having enough maneuverability to turn the board when paddling. Equipped with a 2mm full EVA deckpad for the best grip wherever you are on the board. The soft EVA Carry Handle is positioned on the side to stop it interfering and is secured with a bungee system to stop it dragging in the water. A minimalistic paddle holder on the tail provides smart paddle storage. The Dashama edition has a window to see the world below when practicing Yoga.